At Skylark, we want each meal to be a special part of your overall experience. As locals, we know all the best places to eat in Jamaica. Learn all about all our favorite eateries, things to do, and more when you get a copy of our complimentary Vacation Guide! 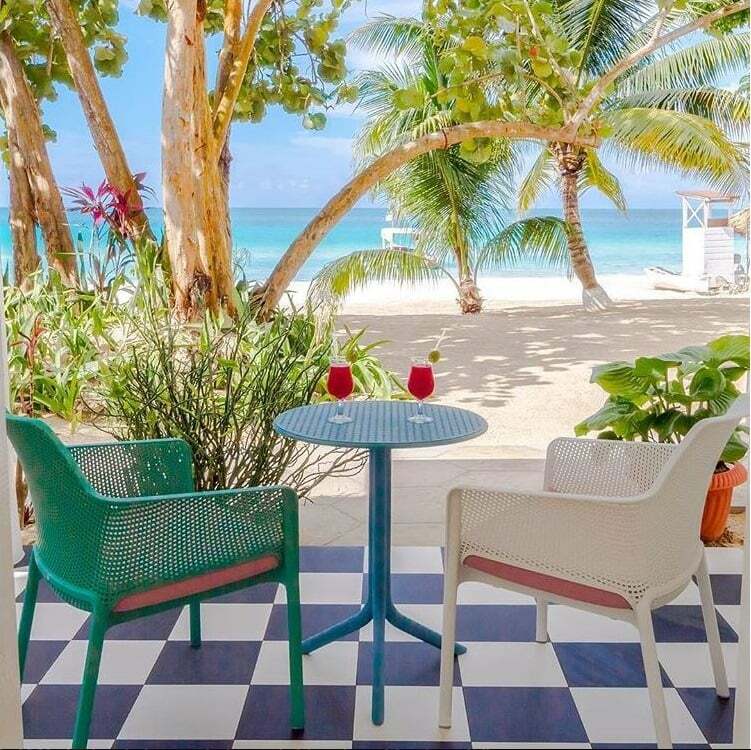 For a vibrant atmosphere, cool staff, and authentic Jamaican cuisine, head to Miss Lily’s, the recently opened beachside restaurant at Skylark. As a counterpart to the successful New York City restaurants that share its name, it was only right to bring down one of the best Caribbean eateries from the city that never sleeps. 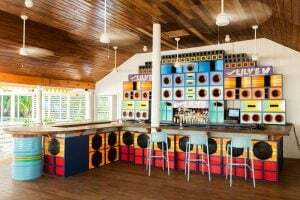 With its modern approach to classic island cooking paired with the reggae music played throughout the day, Miss Lily’s sets the mood for any meal. From fresh fish, grilled meats and Jerk platters prepared on a custom-built smoker, the menu is full of mouthwatering dishes and delicious tropical cocktails. When the sun goes down, DJs start spinning and you’re invited to dance the night away, especially at Wed.
Rockhouse Restaurant combines some of the best local ingredients and flavors with tropical produce grown in the hotel’s on-site organic garden. The menu consists of a light, modern interpretation of island cuisine, with dishes like curried shrimp, crispy whole snapper, grilled jerk chicken under a rock and oxtail patties. The views rival the fine fare; the restaurant sits atop volcanic cliffs overlooking the bright blue Caribbean Sea below. With its stunning atmosphere and delicious food, Rockhouse Restaurant is one of the best places to eat in Jamaica from sunrise to sunset. In the morning, enjoy freshly made juices at The Juice Bar, made with local, organic ingredients from the garden like callaloo, pak choy, and beets. 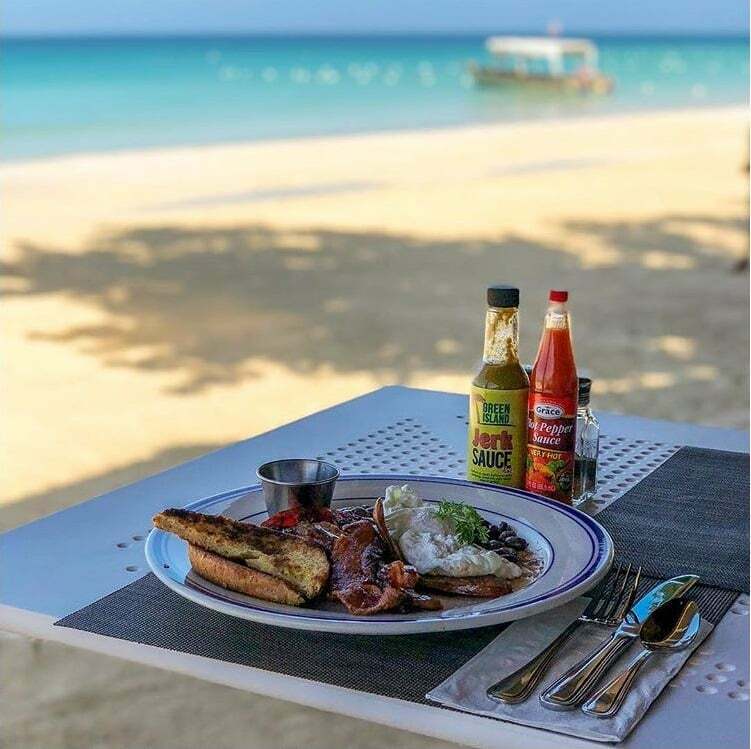 Pushcart Restaurant & Rum Bar, the outdoor local style eatery at Rockhouse, lets the island influence its cuisine as each dish is inspired by a different part of Jamaica. Take the peppered shrimp, for example. If you have ever been to Middle Quarters, St. Elizabeth, you have probably been offered a similar dish but roadside and in a plastic bag. Pushcart takes these traditional flavors, like steamed fish with bammy and homemade jerk sausage, and elevates them to give you a true taste of Jamaican heritage. At night, Pushcart transforms into a dancehall where local and international artists perform and guests can enjoy the extensive rum list late into the evening. For an extraordinary experience, secure a reservation at Zimbali’s Farm to Table Cooking Show. Begin your journey at the onsite fruit and vegetable farm where the ingredients are harvested for your dinner. 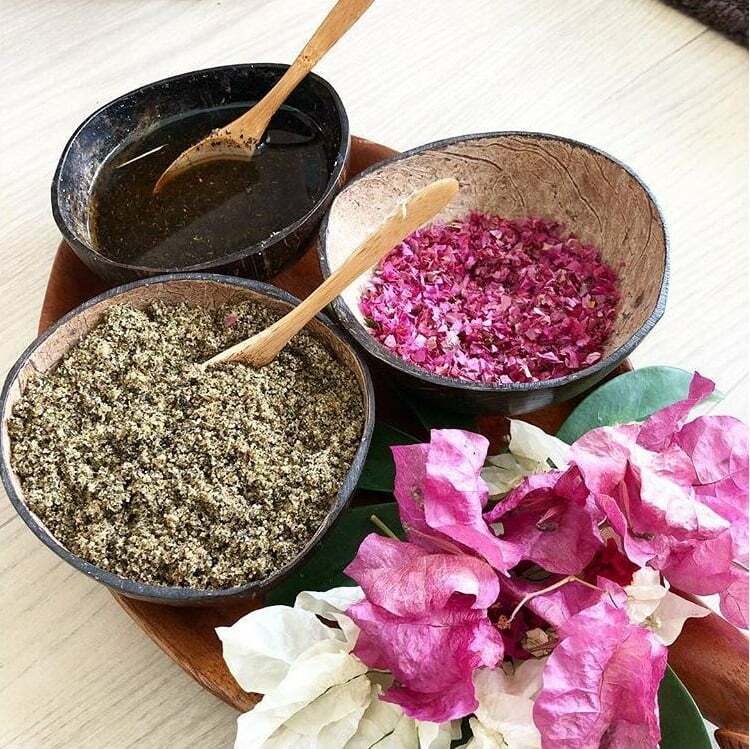 Watch the ingredients transform before your eyes in a cooking demonstration, then prepare to be wowed with six courses made from fresh, seasonal ingredients. Vegan, vegetarian, and gluten free are all welcome. There’s nothing else like it on the island, and it will open your eyes to Jamaican healthy cooking. At Skylark, we focus on showing you the real Jamaica. 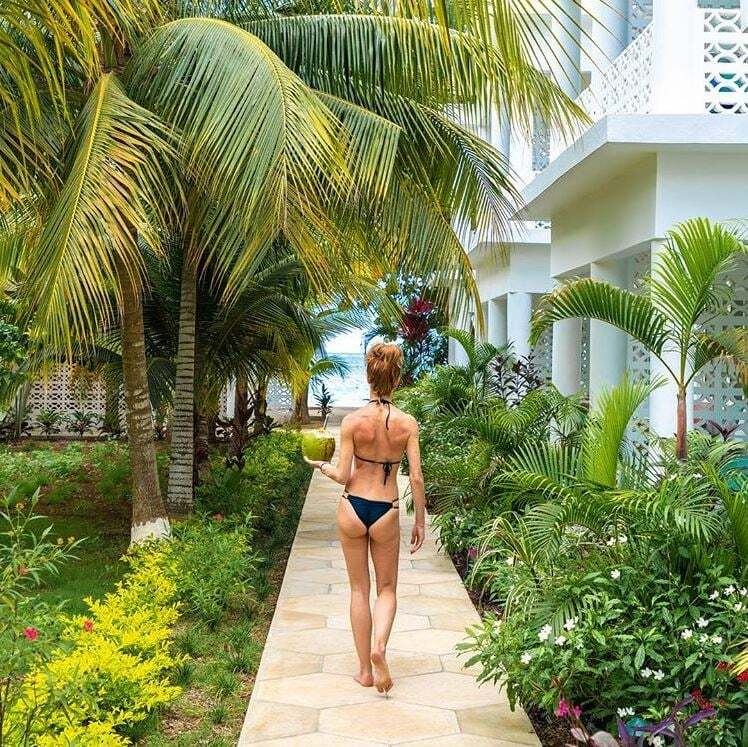 Whether you are looking for the most authentic place to get jerk chicken or want a special experience, our concierge is more than happy to recommend some of the best places to eat in Jamaica. Browse our accommodation types to start planning your getaway. Our excellent location on Seven Mile Beach can’t be beaten. We can’t wait to host you!